You might not realize it, but air pollution could be impacting your health in a major way right now. Even if you live far outside a major city, harmful air particles can still reach your home. What are the main sources of air pollution? Which organs are most affected by air pollution? What’s the best way to protect you and your family? Let’s find out. Typically, when we think of air pollution, we picture big factories spewing out smoke. While industrial sources of contamination are important, air pollution has many different sources. Even nature can be a source of air particles that affect your health. In general, air pollution can be divided into outdoor and indoor sources. How Far Can Air Pollution Travel? UCLA atmospheric chemistry professor, Suzanne Paulson discovered that pollution from Los Angeles freeways can travel up to a mile or more. Other factors like wind direction, freeway design, time of day and vehicle types all have an impact. The geography and buildings around you might serve as protective barriers against — or basins that accumulate — wind-based toxins. Even moving away from an urban center might not completely free you from manufacturing pollution. Some studies suggest that particulate matter can travel all the way from China to the United States, especially the West Coast. The lungs are especially sensitive to air contaminants. 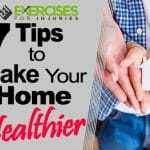 If you have a preexisting lung problem like emphysema, chronic obstructive pulmonary disease and asthma, pollution may increase your symptoms or even make the disease worse. Some air particles have even been associated with lung cancer. If you smoke, the effects of tobacco on your lungs might be magnified due to pollution. Finally, in children, excessive exposure to air pollution may lead to abnormal lung growth and function. A University of Southern California study found that high levels of air pollution can lead to pancreas damage. When the pancreas is injured, it can lead to diabetes. So, if you’re exposed to excess pollution in childhood, your risk of type 2 diabetes as an adult goes up. The worst contaminants come from motor vehicles and power plants. Other studies also suggest that air pollution may increase the risk and/or death rate associated with pancreatic cancer. Like lung disease, if you already have a heart problem, air pollution can make it worse. Airborne contaminants have been linked to an increased risk of stroke, atherosclerosis (hardening of the arteries), high blood pressure, heart attack, arrhythmias (abnormal heartbeat) and heart failure. Some studies even show that air pollution can increase the risk of plaque rupture, which can lead to a massive heart attack. One of the mechanisms behind this is thought to be increased inflammation caused by pollutants. Medical researchers are especially concerned about the very small particles, less than 2.5 microns. These tiny contaminants come from burning fuel, and they are harder to filter. Their small size also makes it easier for them to penetrate the body’s defenses. When pregnant women are exposed to excess pollution, it may affect fetal brain development. The effect on infants and children may also be detrimental to growth. This could lead to cognitive problems and learning disabilities. The contaminants are believed to damage the blood brain barrier. This allows toxins to reach the brain easier, including the contaminants from the air. In adults, this could lead to a higher risk of Alzheimer’s disease and Parkinson’s disease. One particle, called magnetite, can also enter the body through the olfactory nerve (through your nose) and the gut. The magnetic charge on this particle makes it highly toxic to the brain. Motor vehicles, construction equipment and agricultural equipment are the main producers of VOCs and NOx. Ground-level ozone levels are highest between 3 p.m. to 7 p.m. Also, the summer tends to see the highest ground-level ozone levels. What Is an Ozone Alert? The ozone layer (a layer of gas) high up in the atmosphere protects us from harmful sun radiation. Ground-level ozone is harmful to your health. On very hot days, your local weather station may announce an ozone alert. This means that ground-level ozone layers are dangerously high. On those days, it’s better to stay indoors, at least until the sun goes down. Particulate matter is a mix of pollutants like soot, smoke, metals, nitrates, sulfates, dust, water and tire rubber. It can be released from a fire source or can spontaneously form in the atmosphere from reactions between contaminants. Small particles (known as PM2.5 or fine particulate matter) are the most dangerous because they slip through your body’s natural defenses more easily. Exposure to particulate matter can potentially affect any organ in your body. What Is the Air Quality Index? Live in a place far from urban centers or have barriers, such as hills or mountains, to separate you. Avoid city “canyons” where tall buildings are on both sides. Use air filters in central heating and air conditioning. Remember, these only work if the windows stay closed in your home. Use filters rated 13 or higher on the MERV scale. Consider buying a certified air purifying device. Remember, these only work in a single room. Your bedroom might be the best place to keep the purifier. Avoid early morning exercise near traffic. The morning is rush hour, and cooler temperatures tend to stagnate pollutants. Keep an eye on the AQI and ground-level ozone, especially if you have a medical condition. Stay indoors if the AQI goes above 100 or if there is an ozone alert. Take the bus. Public transit reduces emissions. If you have to drive, set your AC to recirculate instead of taking in outside air. Install radon and carbon monoxide detectors in your home. Commercially available masks don’t help much since they don’t filter out small particles. Carpool: Combine with others to go to work or take the kids to soccer. Bicycle: Hop on the bike for shorter trips. This gives you a workout at the same time which is much cheaper than the gym. Eat at home: Eating out is less healthy, and it generates more air pollution from driving. Don’t idle your engine: If you are stopped for more than 60 seconds, shut off the engine. This also saves you on gas money. Air pollution is everyone’s concern. Even just cutting back on car use makes a big difference. If you take steps to reduce energy consumption, then you and the rest of your community will have cleaner air. 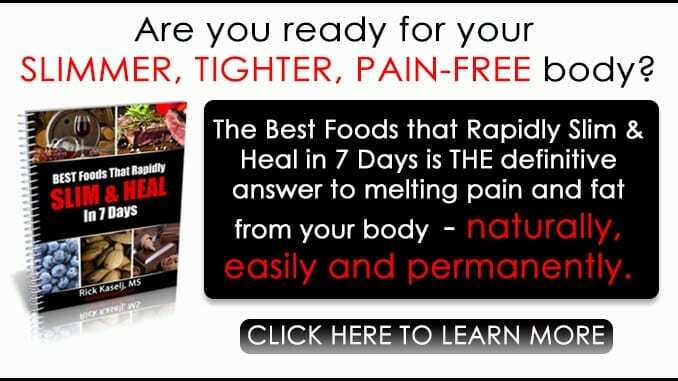 If you want to trim down your body, get younger, increase your metabolism and energy, and heal your pain, then check out the Best Foods That Rapidly Slim & Heal In 7 Days. Why Is Weight Loss So Difficult? 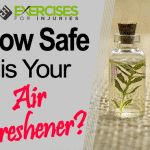 How Safe is Your Air Freshener? Is The Environment Causing Brain Issues?